Eastman Industries Limited is one of the leading manufacturers and exporters of a wide range of tires under the brand name ADDO INDIA. It is a subsidiary of Eastman group of Industries. Promoted by Mr. J. R. Singal, the group is having worldwide operations with its facilities at India and China. With a steady and stable annual growth rate, the group''s total tyre exports turnover increased by 100% in the Financial Year 2007-08. Furthermore, its products and services have won accolades from the patrons in markets of South America, Central America, Mediterranean Europe, Middle-East and other parts of world. In the year 2002, the Eastman Group becomes multinational by establishing an outsourcing network office at Hangzhou, China. This assists it in sourcing high quality tyres from China, apart from its own manufactured tyres from Eastman Industries. 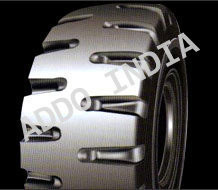 All the tires ranges are in-compliance to various quality standards viz. CCC, ISO, E-MARK, DOT and SON.